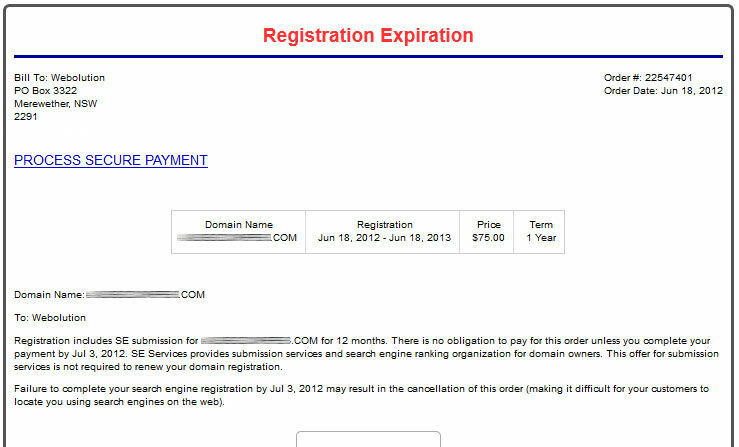 It has come to our attention that a new scammer is flooding domain name registrants with a Registration Expiration notice sent via email. We would like to warn all current domain owners of the scam and to be cautious when reading and acting upon the email. The scammers use publicly available domain WHOIS services to locate contact information for operation of the scam. Customers should ignore any such emails and always check WHOIS to confirm domain registrar whenever unsure of the current domain name status. If you are concerned about your WHOIS information listing your personal contact details (allowing everyone include scammers to contact you directly), we recommend that you consider enabling Domain Privacy for your registrations. Domain Privacy is an addon service attracting a small fee that can be organised by contacting us. We will be performing a scheduled upgrade to the server housing the Webolution site and systems tonight at 8pm EST. Our site will be offline for around 10 minutes during this time. No client sites or servers will be affected. Effective 27th June 2011, all Tassienet web hosting and domain name customers are now managed by Webolution. 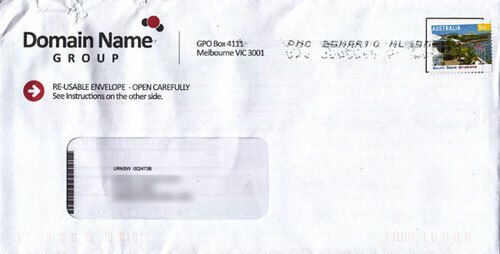 All Tassienet customers should have received notification of this via email, including new details for our Client Area. If you did not, please use the contact us page to let us know and we'll get your new details to you asap. Our wholesale supplier of domains, DistributeIT, is currently experiencing some technical issues that are being resolved as quickly as possible. Due to this, some clients will have issues managing their domain names through the client section. If you have any urgent domain related issues, please contact us. All domains registered through Webolution that are due to expire are automatically flagged and renewal emails are sent out to your current client account email address. Of late, a number of letters have been sent to domain owners using publicly available contact information relating to client domains. If you receive any letters that look like either of the ones below, please do not reply to them - they are a scam, and they were not sent by Webolution. Simply throw the letter out - you will be notified by us when your domains are due for renewal. We have new banking details which can be found at the bottom of all invoices sent out. Please do not use the old details if you have them stored, the account no longer exists and payments will bounce. As of 15-Dec-2008, support tickets will only be accepted if sent from your registered email address or if they are submitted through the client section. Emails sent to this address from non-registered client email addresses will bounce.